The lone MMORPG rides off into the sunset to return free? In the past there have been a few games that had a ton of hype but when it was time to step up to the plate, kind of fell off somewhere along the lines. Does this mean they were truly bad games? I suppose it is better to go free than under. They still have the chance to pull in players with the free experience maybe hooking some into the cash shop. Is it truly all that bad? I don't think so. I like seeing those games out there still, striving against the competition. A few come to mind DDO (Dungeons and Dragons Online), Arch Lord, Rose. Honestly all of these really were decent games. What happened to them? I guess there comes a point where it's just not viable to keep a declining game open to subscriptions. I am actually wanting to try DDO being free. The last time I played was years ago. It can draw in curious players who might never have peeked in. Some like Tabula Rasa just fall under. Sadly I never got to try this one. But I suppose companies like Play NC have their fingers in too many pies with all the games they have currently to bother more with it. What about those bull headed older mmorpg's that just won't quit? I think they went in the right direction with picking up Dungeon Runners. But is Guild Wars 2 going to kill off Guild Wars? Or will it end up playing out like EQ2.. a shadow of what the original once was. Play NC claims to offer their newest game to being second to only WoW. Notice they don't claim to surpass it. Why not? Honestly I don't think they have hit the nail on the head with this one either. I hope it turns out to be a great game, I will try it once it is out for awhile. The game that won't quit.. EVER. It's been out a decade! Happy birthday big daddy EQ! It is still going strong with more servers than many new games like AoC and WAR. About twice as many servers. I think this game just holds too much nostalgia. It has too much history in the world of MMORPGs to go under. So what did SoE do to still keep up at this point? Every game is now compared to WoW. But WoW was so often compared to EQ. Simply put it was there before the rest. It kick started the games we play now. KA-POW. Don't forget who your daddy is! On a serious note it is more of an Evergrind these days when compared to newer games, but it has a very nice community, several nice aspects, tons of classes. The game is not as much as a grind as it once was with many many quests added in. It's more open to casual play than it ever was. S.O.E. has done a lot to keep it up to pace the best they can with the coding being as old as it is. And they have done a damn fine job. S.O.E has introduced the cash shop in many of it's games. They offer a station pass also to pay a flat rate and play ALL the games they offer. This helps keeping some of the other ones interesting too I think. Hop around when you get bored for a flat rate. And also the online TCG, LoN. I don't know if they went in the direction that was wanted with the community for SWG and I don't know how it will fare when SWTOR is released. You will have the faithful player base to an extent but how much of one? adverts for the one who made them all the phat RL lewt .. err money. What about others like DAoC? I actually tried this one hrmm back in '07 since back in the day while it was more mainstream I was too busy playing EQ and not at all interested in a pvp game.. /gasp at that concept! This game got a revamp on the graphics at one point and actually looked decent. The UI needs a face lift or it did at that point. While being much like EQ it also had an excellent community. One of the best of any mmorpg I have played. Coming in 2nd after EQ. They at some point stopped putting out expansions.. I found a lonely box with them all in Best Buy and have yet to see anymore since then. Although they still do update it. It was a game worth playing just to experience it. The mounts.. they were fantastic! The classes were very interesting also. I think Mythic stagnated it's own game putting so much into WAR honestly. I salute these older games still hanging in there, the developers that keep chugging along. Thank you for allowing us to revisit places of nostalgia whenever we want to take a trip back. It's not always going to get a company a smash hit really trying to compete with the leading game out there. At this point it's just sit back and watch the show as they all try to be bigger and better. World of Warcraft.. is currently at the place where EQ hit it's decline. Around the five year mark. I don't see that happening any time soon for them though. 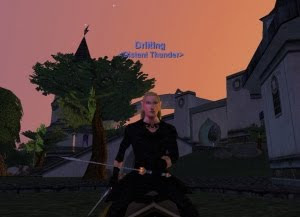 It like EQ will never fade away as it has made it's mark so prominent in the mmorpg industry. And props to Blizzard for sitting up top for so long, lets hope they can keep going strong another five years!